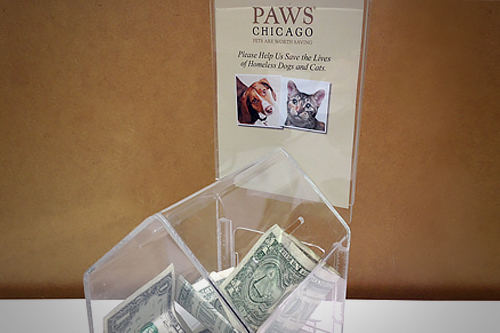 The following stores have allowed us to put out a PAWS Chicago monetary donation box. If you are a business owner and would like to feature a PAWS Chicago collection box at your business, please call 773-475-3307 or email 3rdPartyEvents@pawschicago.org. Have a question about donations?